Victorian Opera completes their eclectic 2014 season with yet another unique event that adds to the rich cultural life of Melbourne. 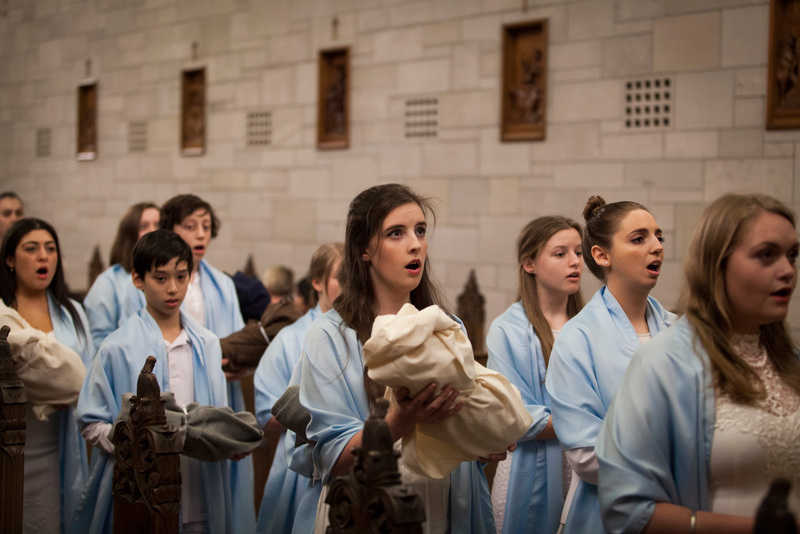 While the prospect of a youth opera performed in the Newman College chapel would be special enough, artistic director Richard Mills has gone the extra mile by creating a new work for the company. Expanding on the existing piece in The Fleury Playbook, Mills has added additional Latin text and has composed the score. The narrative covers the egregious abuse of power by King Herod when his fear of being overpowered leads him to order all new born baby boys to be massacred. As Mills mentions in his program notes, the drama highlights the level of conflict and unease that has perennially plagued the Middle East. There is an ultimate message of joy and hope, but the pain of the people is not glossed over. The cast and orchestra have worked together to create an affecting and inspiring performance that is a joy to experience. 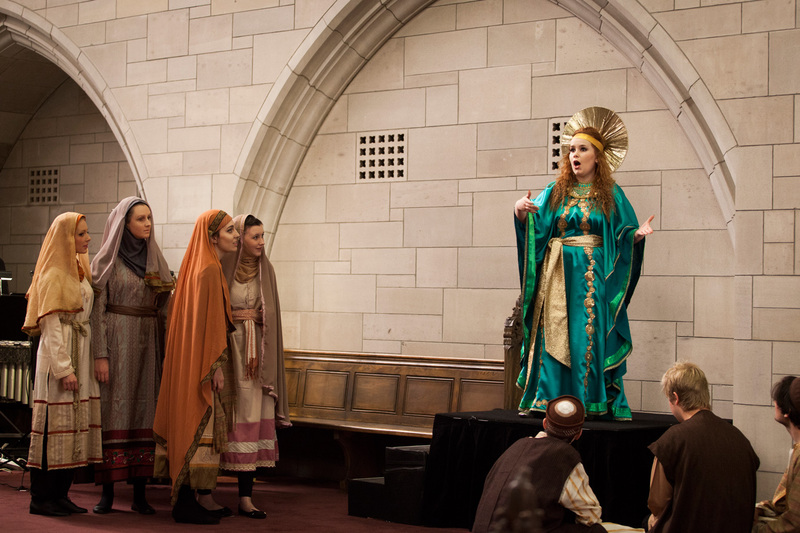 Filling the length and breadth of the exquisite chapel with music and action, the immersive nature of the staging commands audience attention throughout, and the sixty minute running time fairly flies by. The young cast of almost 50 sing Latin as if they have done so all their lives, and the orchestra of 18 players gives a thrilling rendition of the rich new score. Conductor Phoebe Briggs stands high to juggle the attention of singers and players spread between altar and choir loft (and occasionally in between), a task she completes with poise and flair. To present so polished a performance of a new work on opening night gives a clear indication of the sterling level of preparation behind the scenes. Tremendous brass playing is a feature of the music, and rich percussive texture also adds to the splendour. Special mention goes to Robert Allan and Luis Sharpe for their detailed and varied work on percussion, especially on xylophone and chimes. 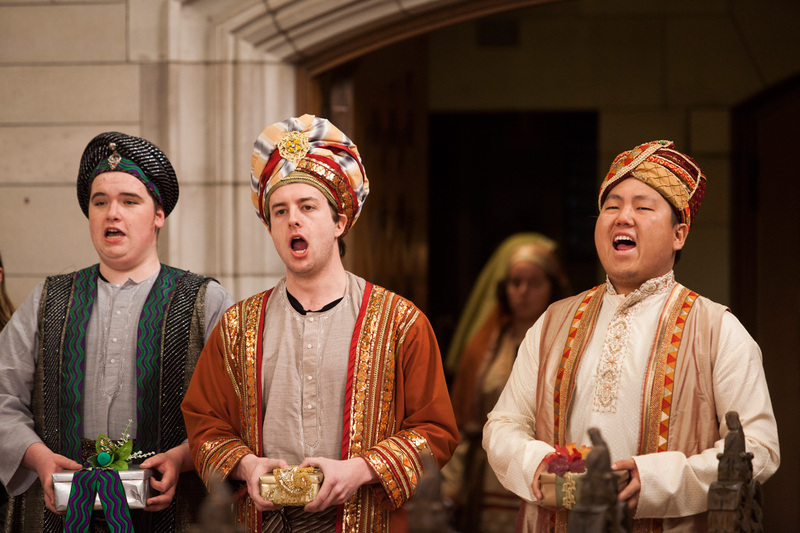 The large cast features singing voices that are extremely well matched and sound wonderful together. 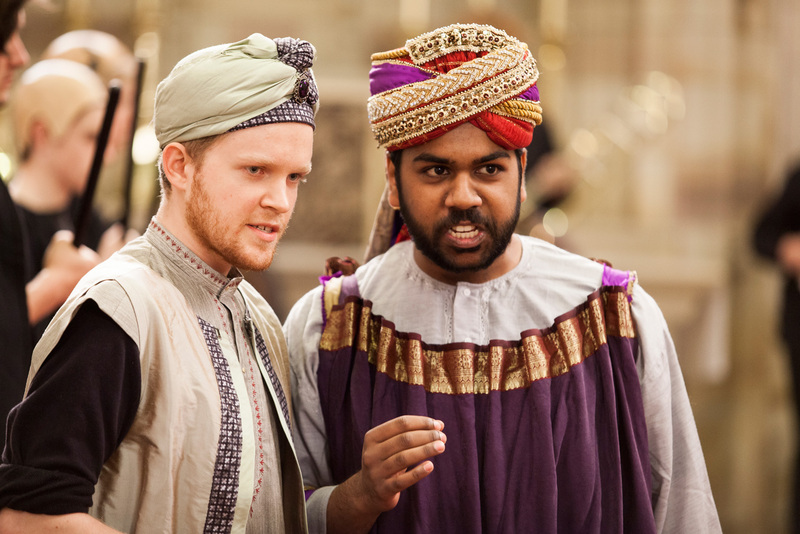 Kiran Rajasingam has a commanding presence as King Herod, very well complemented by Jacob Lawrence as Herod’s son Archelaus. Elizabeth Barrow has a serene aura, and a lovely soprano voice, as the Archangel. Libby Hill’s direction involves almost constant movement, and the focus and teamwork of the cast allows these changes of location to progress smoothly and effectively. Although the company has provided an English translation of the text for the audience to follow, there is almost no need for this given the perfect clarity of the storytelling on stage. Completing the stamp of quality on the production are Ross Hall’s costumes, which neatly balance glitter and colour with an authentic, earthy vibe. 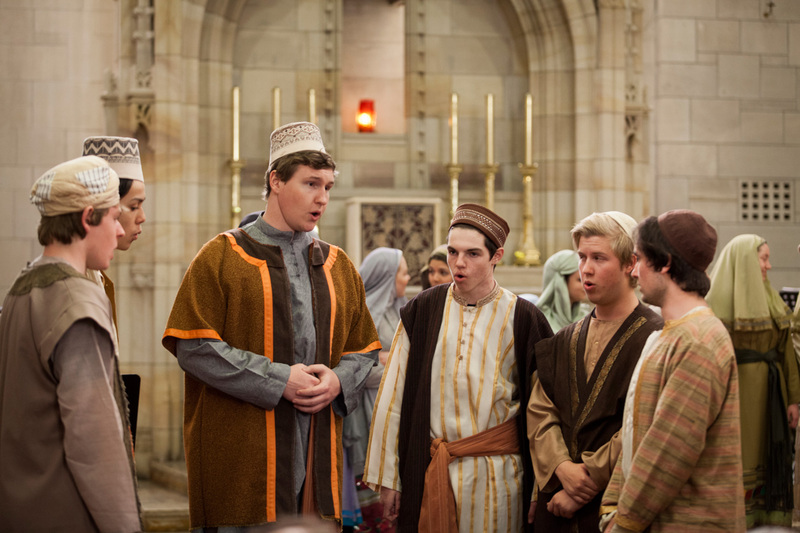 The Play of Herod plays at Chapel of the Holy Spirit, Newman College, Melbourne, until Saturday 4 October 2014. 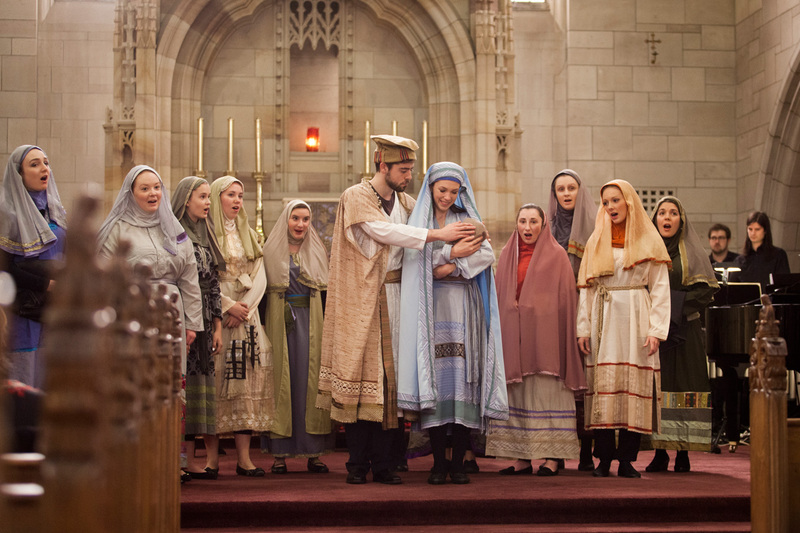 The program for The Play of Herod can be read online.